The Museum’s acquisition of Castle House has made it possible to resume the sale of good quality second hand books on behalf of the Friends, which has proved a valuable source of income in the past. The bookshelf is situated in a convenient position in Castle House, which is across the courtyard opposite the museum entrance. It is in a light and spacious position with comfortable seating for those wishing to browse. FOTMOS will be most grateful if you can make regular donations of suitable books so that fresh stock is always available; they can be brought to The Friends’ meetings or handed to a member of the museum staff at the reception desk. 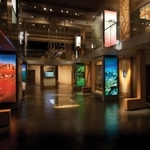 All proceeds will be used to further the work of the museum. Thanks are due to Betty Carter for donating the bookcase, Brian Hunter for facilitating it’s move, Susie Simmons for establishing the area for it to occupy and Ben Clark for performing the necessary carpentry to make it fit. The Friends of the Museum of Somerset have raised £2000 towards the Somerset Remembers project; the county-wide First World War memorial project. 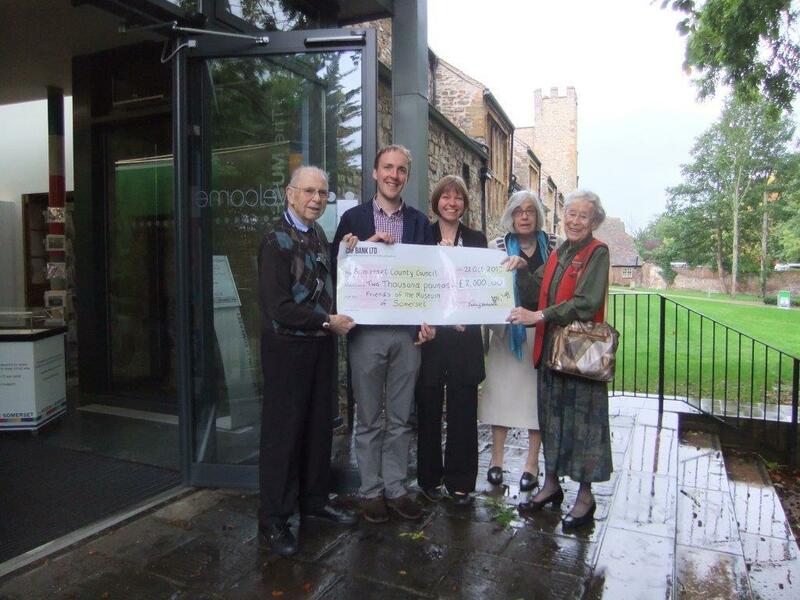 Three members of the Friends, Betty Carter, a long-standing member, Felicity Hebditch, retiring chairman, and Mick Grigg, treasurer, presented the cheque to Assistant Curator Sam Astill, who is leading on the commemorative project for Somerset Heritage. The money was raised through subscriptions, donations and raffles at the Friends’ meetings, and will go towards meeting the costs of the project. 2014 marks the hundredth anniversary of the outbreak of the First World War. Drawing on this poignant moment in national history, Somerset Remembers will explore the impact and long-term legacy of the conflict on the county. A six-month exhibition will be held at The Museum of Somerset this summer. Built around the stories and experiences of Somerset people during the First World War, it will go beyond the military aspects of the conflict to explore the wider impact on the county. 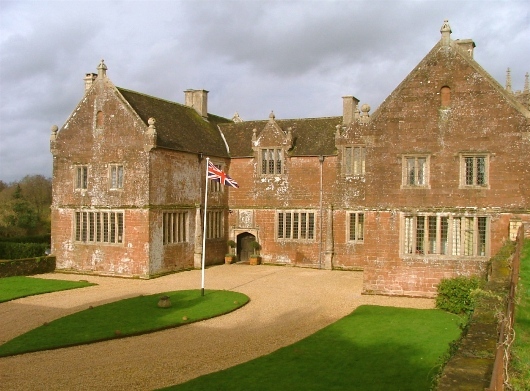 Before Christmas a group of 50 members visited Cothelstone Manor. Their hosts, Nigel and Finny Muers-Raby, made them very welcome, providing an entertaining talk on the history of the manor and a private tour. The present house is Grade II listed and dates from the early 1600s. It was largely demolished by the parliamentary troops in 1646 and rebuilt in 1855–56. It is notable for its fine Grade I listed Gatehouse dating from the early 1500s, the Grade II listed Gazebo and the 17th Century Banqueting Hall all of which have survived. The stone mullion windows are of architectural significance and are noted by Pevsner as being unique. There is, in fact, only one other house in England with this type of mullioned window. The group then went to the the red sandstone Church of St Thomas of Canterbury behind the manor. The church dates from the 12th Century and was largely restored in 1864. It includes memorials to the Stawell family church., which is still in regular use; one of the churchwardens gave a guided tour. After this the group returned to the manor for a homemade afternoon tea of cake and sandwiches, followed by some carol-singing around the Christmas tree and log fire.